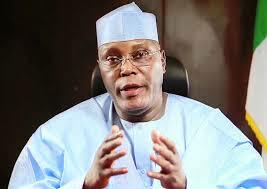 A support group for a presidential aspirant of the People’s Democratic Party (PDP), Alhaji Atiku Abubakar, known as the Nigeria Democratic Forum for Atiku Abubakar (SEND-FFAA), on Sunday, said it has mapped out strategies to secure the South East for the presidential hopeful. It said that the former Nigeria’s Vice President has the capacity and intellect to wrest power from the All Progressives Congress (APC) in next year’s general election and would as well steer the country in the right direction. Briefing newsmen, in Abakaliki, the Ebonyi State capital, the National Chairman of the group, Dr. Chukwu John Aja, said that with the master plan his group has set out, winning the presidential election would be a walk-over for Atiku if he secures the PDP’s ticket. Aja, who described Atiku as a detribalised Nigerian, also assured that the former Vice President would be a blessing to Ndigbo in particular and the country in general if he wins the 2019 general election. Aja’s words, “Atiku is the man who will address the many challenges affecting us as nation and will ensure that the marginalisation of the South East zone especially in the appointment of the public office holders at the federal level will be a thing of the past”, he said. Atiku is the People’s choice for good governance and better life. With him Nigeria will work for Nigerians, So detractors leave the people’s leaders alone..